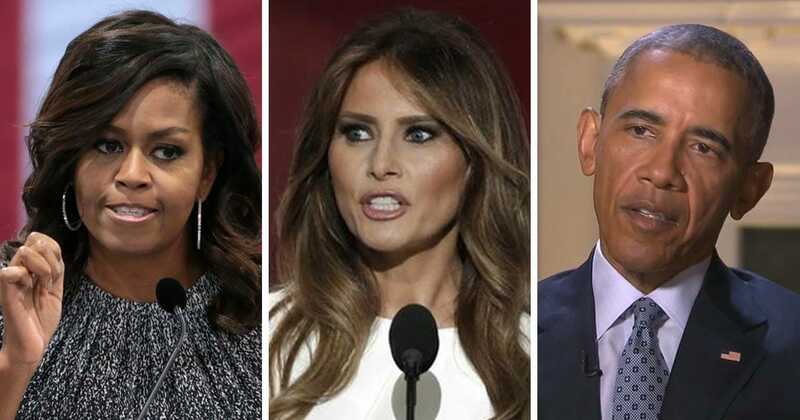 A booklet published by first lady Melania Trump on Monday as part of her “Be Best” campaign is under fire after she was caught completely copying the Obamas… again. Trump had released the PDF titled “Be Best” as part of her initiative to “encourage positive social, emotional, and physical habits” among children and make sure that they’re being safe online. The brochure, aimed at parents, extolled the virtues of positive online conduct, and how to deal with issues like cyberbullying and inappropriate content. Internet archives show that first lady Trump tried taking credit for the work in the initial release of the pamphlet, but that she later changed her role from writer to “promoted” by the first lady. However, the part that stood out most to me was the section on cyberbullying. Mrs. Trump, would you say your husband chooses his words wisely or uses them to convey respect and compassion? If you want to reduce cyberbullying, first lady Trump, you should delete your husband’s Twitter account.